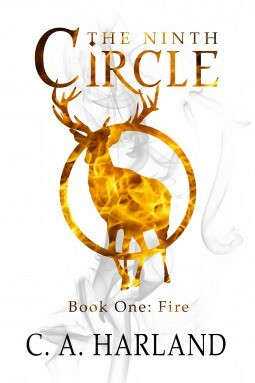 “Fire “ is the starting book in ‘The Ninth Circle’ series. It is written by C.A. Harland. Tala, Aiva and Hart are three sisters who are Nighthunters. These ‘nighthunters’, as their name suggests, hunt things that go bump in the night — fae, demons etc. The book starts with Hart missing which forces Aiva (a reluctant Nighthunter) to team up with Tala (who has embraced their legacy). Most of the story is written as a buddy cop book with the two of them finally learning to work with one another. This book was underwhelming. The main reason for this is the episodic nature of the chapters. Every chapter feels like an entry in a long running TV series with usually a monster of the week episode mixed up with the main story line. The transitions from chapter to chapter were abrupt and jarring to the reading experience. I think this book might have been much better had it been written (or edited) in a ‘normal’ fashion’. The plot was mostly predictable. There are supposed to be a couple of surprises in the book. Unfortunately, I was able to see both of these coming, in the early chapters itself. The world-building is nothing special. We have seen this kind of ‘hunter’ organization before in other urban fantasy like Shadowhunters, for example. The one unique aspect of this world seems to be the nine circles (which corresponds to Dante’s nine circles of hell). In this book, each circle is a paranormal criminal organization, run by demons, which deals in a specific vice. On the whole, this book is below average. With some editing and rewriting, this can become a standard run of the mill fare.